Standards don’t just mean constraints, but also obligations and safety measures applied within a framework of know-how. The META testing team is made up of qualified engineers and technicians. Quality specifications are developed, quality measures are defined and the interaction between individual components is tested in the in-house testing laboratory. The knowledge acquired in this way then forms the basis for subsequent, fully-matured product innovations. In addition to the 2-year warranty required by German law, we also provide a 5-year quality guarantee on our shelving systems. We have confidence in the quality of our products because: we have our products and production processes inspected regularly by our own personnel and by independent inspecting authorities; structures and production processes have been approved by the GS symbol and the RAL-RG 614 quality label; we are continuously renewing our production systems and use the very latest production technologies. 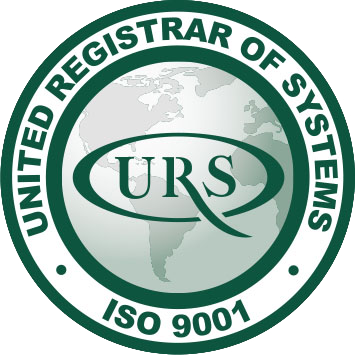 META products are also certified to the strict RAL guidelines. This means that they are constantly being checked and monitored by an independent inspecting body. And we welcome these independent inspections. 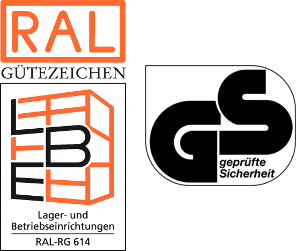 The function of the RAL (German Institute for Quality Assurance and Certification) is to ensure the high quality of products and services. As the umbrella organization for the present 139 quality associations, only the RAL is allowed to award the quality label in Germany. META offers you storage facilities of the highest quality, which have been produced at machining centres using modern PPS and CAD/CAM technologies. 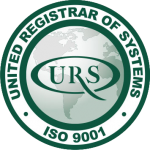 As a leader in technology, META is certified to the DIN EN ISO 9001: 2015 standard applying to warehousing and operating facilities. META applies a certified energy management system as defined in DIN ISO 50001 and is thus actively protecting the environment. Our products, of course, also carry the GS symbol, and are regularly checked and inspected by the neutral MPA (materials testing office) in Dortmund. META products meet the DGUV 108-007 (BGR 234) operating safety requirements of the trade and professional associations. META is a specialized welding firm with Class D manufacturer qualification as defined in DIN 18800 Part 7. This qualification specifies that META is to use fully mechanized welding procedures (e.g. automatic beam welding machines) in its production process. All welders employed at META have a valid welder’s qualification with an EN 287 Standard certificate and a machine operator’s qualification with an EN 1418 Standard certificate.